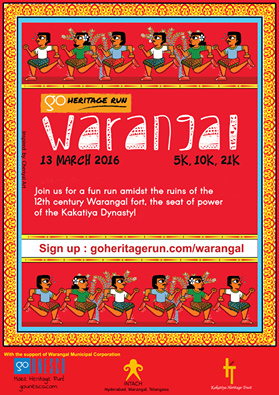 With less than three weeks to go until Go Heritage Run – Warangal, we thought now would be a good time to reveal the Warangal Run T-shirt and the design influences around it. 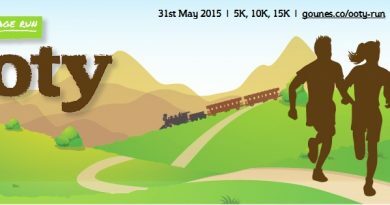 Cheriyal art, the visual story telling artform, inspired the Warangal run’s T-shirt design – as well as the run posters, the yet-to-be-revealed finisher medal and other run collateral – the running bib, finisher certificate and signage on route. 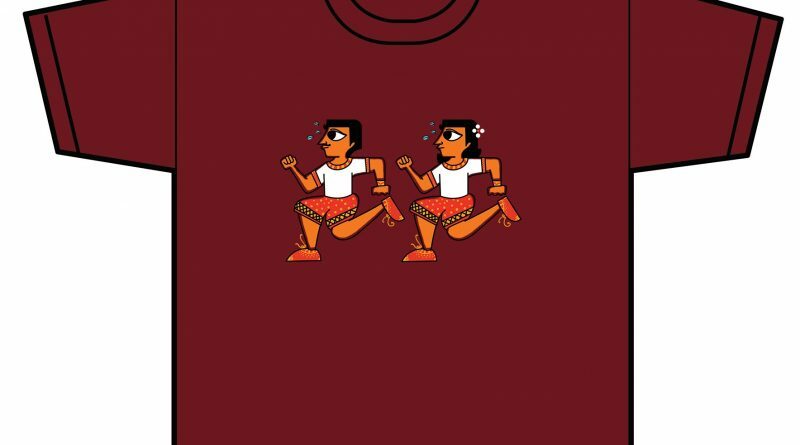 Cheriyal Art narrates the lives of people in rural communities with vibrant colors and visuals on scrolls and canvas- read more about it here – and we used Cheriyal inspired runner motifs on our run T-shirt. 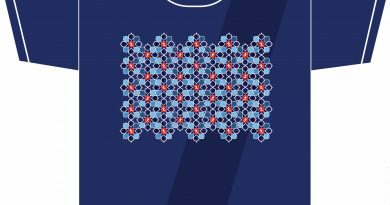 Red is generally the most preferred choice of color with hints of yellow, blue and white to add life to the composition – and our T-shirt design follows a similar color scheme. 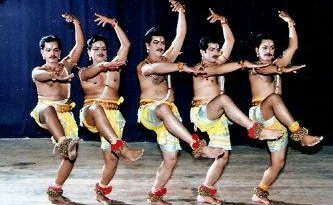 The role of the Cheriyal artist is not just limited to his workmanship. With his level of skill and imagination, he has to be the creator and the narrator. The story frames are usually separated with floral yellow borders. And our posters, too, follows a similar theme. Early iterations of this poster narrated the entire running experience – from bib pickup, to run flag off to post-run photo ops at the Start/Finish area – but for lack of space we went with a simpler framed poster. 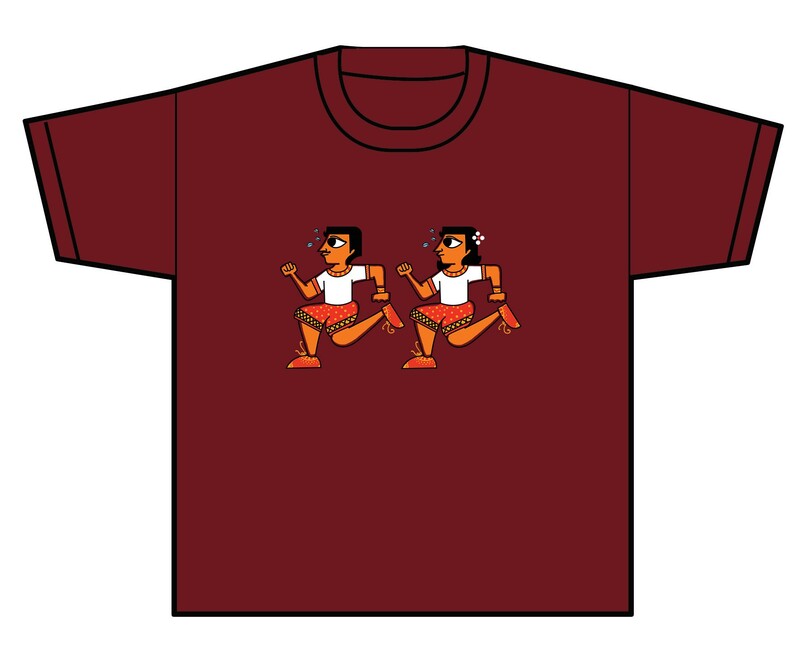 You can still purchase this t-shirt, in quick dry polyester and in cotton here – Cheriyal souvenir tshirt.